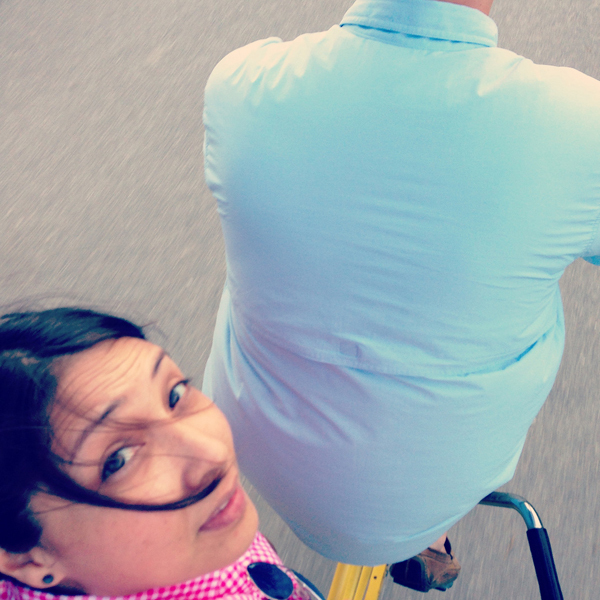 ljcfyi: Life is like riding on the back of a tandem bicycle. If you are quite short. Life is like riding on the back of a tandem bicycle. If you are quite short. I have a list of things I want to do this summer and going for bike rides is high on it. Last night we packed up Banana Split, the Schwinn Twinn tandem bike I got Aaron for his birthday and headed for the lake. 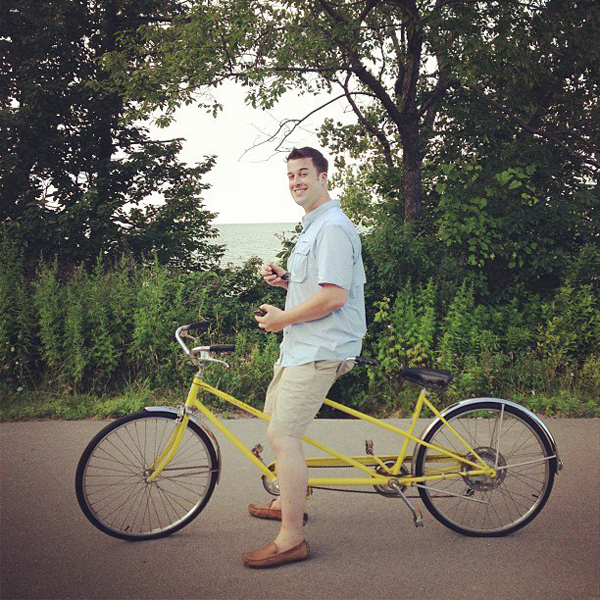 It is an odd thing to be the one riding on the back of a tandem bike. Especially when the person in front is 6'5". You can't see much ahead of you.... only the scenery whizzing past and an occasional glance behind you of where you have been. You just hang on and pedal like crazy. Kinda like life right?